One year ago, Torsten Robbens was excited. 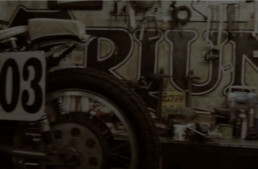 His company, Saroléa Motorcycles, was one of only four vying for Dorna’s attention to become the spec motorcycle for its Moto-e World Cup in 2019. 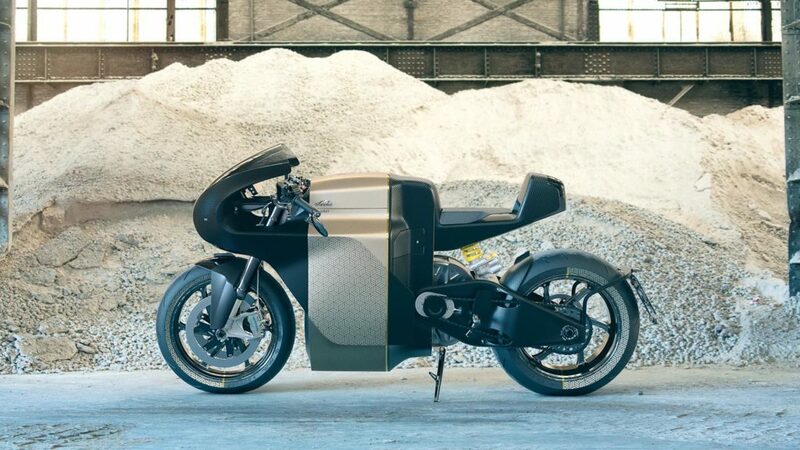 That honor went to Energica, but the Belgian company soldiered on, focusing its attention on a limited-edition street-legal bike, the MANX7, based on its Isle of Man TT creation, the SP7. 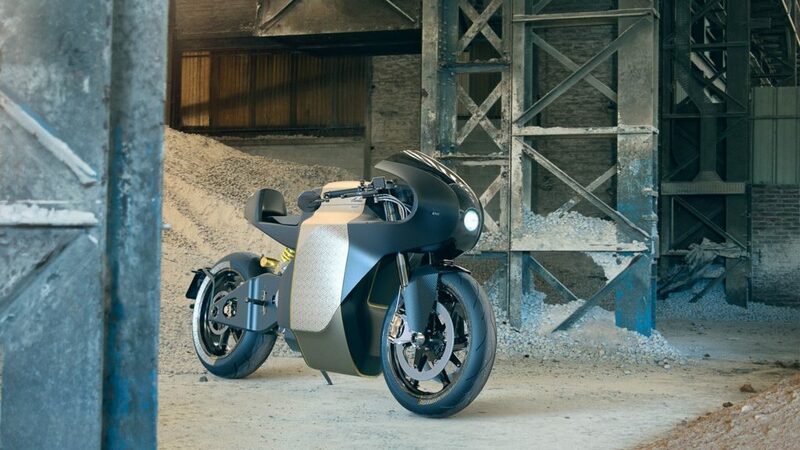 Designed by Serge Rusak and his team at RUSAK Creative Designworks in Paris, France, the core of Saroléa’s MANX7 is a handmade carbon fiber monocoque chassis. For low total weight and optimum safety, the swingarm is also handcrafted from lightweight carbon fiber, manufactured by Solvay in Brussels. Due to this configuration and the nature of the fully stressed structure, the MANX7 was designed with a 50 percent front and 50 percent rear weight distribution, which Saroléa says gives it great handling and makes it easy to ride. The weight is 478 lbs (217 kg), including a 22 kWh battery pack. Only 350 MANX7 bikes will be made. Excluding tax, clients can choose from 14 kWh for €42,975, 18 kWh for €46,280, or 22 kWh for €48,760. A €5,000 deposit is required, which is fully refundable if you cancel your reservation. In 2017, Saroléa achieved its fourth Isle of Man TT in a row with its SP7 race machine and onboard their development rider and emerging champion, Dean Harrison. Another prize (Lady bronze) to add to the previous trophies obtained over four years of development and competition on the Isle of Man. The extreme conditions and very specific set-up required to complete in the IOM TT race offers Saroléa a unique development platform in terms of performance and safety. 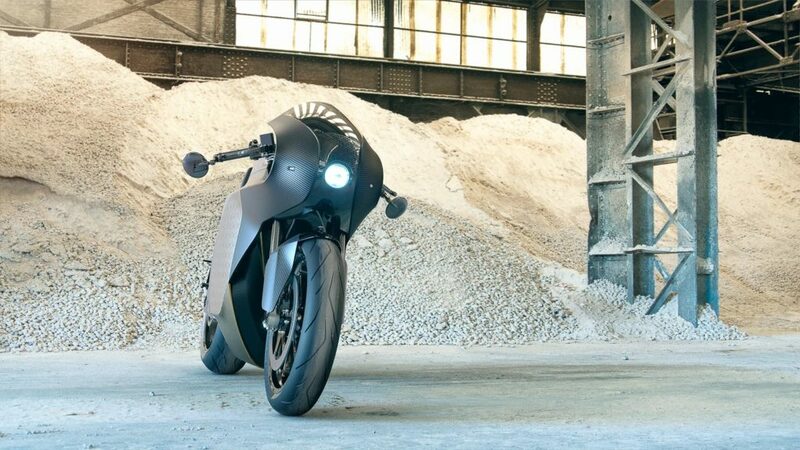 This challenging event enables Saroléa R&D to gather huge amounts of data which it turns into enhanced solutions for its street-legal motorcycles. I spoke with Robbens on a busy July evening recently to learn more about the MANX7. Torsten, how long has this MANX7 been in development? 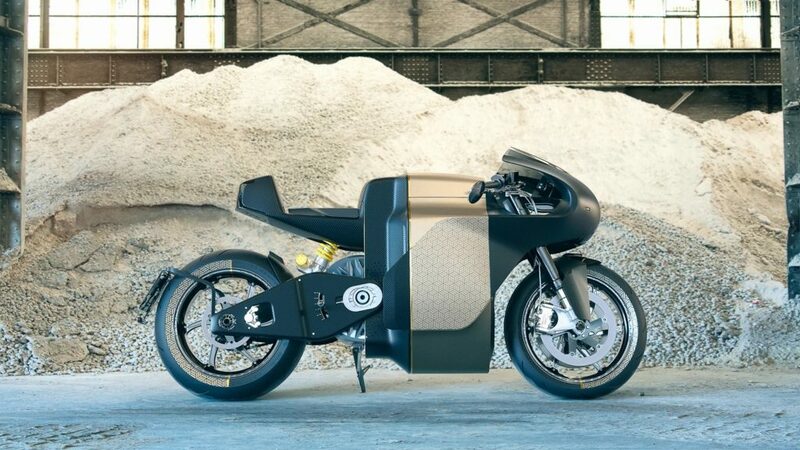 The MANX7 is derived from our TT Zero racing bike, the Saroléa Project 7 (SP7), which began in 2009. Racing the SP7 itself started when we joined the Isle of Man TT Zero in 2014, and we envisioned the TT Zero to go international, or at least another international racing championship to kick off around then. That’s why we always focused on our racing bikes. Our idea was, and still is, to sell and lease out the SP7 bikes for these championships to other teams. As we saw no real evolution toward a global championship we decided to start the development of road-legal motorcycles in 2016. This would become the Saroléa MANX7. How many hours and hands have been involved? It’s a difficult question to answer; as we are driven by passion we don’t exactly keep track of every hour we spend in the workshop (laughs)! Our team is now 20 people, which doubled over the last two years. 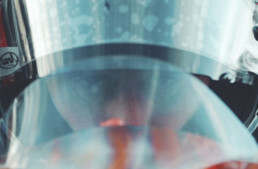 In total we’ve now spent nine years in research and development, racing, trying, failing, learning and evolving. How did you choose your parts and component partners? Most of the MANX7 special parts come from our racing activities and development, and it’s quite logical to use the same manufacturers and parts. Or at least variants of these parts in a road legal version. We’re always looking for the best quality and lightweight for our machines. The partners we work with have the same spirit and drive. They’re looking for perfection in performance and aesthetics. Plus they are also very agile in the way they communicate and operate. This is absolutely necessary for a small company like ours. As a side note, all of the carbon parts, including chassis, swingarm and bodywork, but also the production of the motors and battery packs are done in house. I see that only 350 bikes will be made. When will delivery begin? This year we’re building the first 20 bikes, the founders edition. The following years we’ll increase the production: for 2019 we have a production run of 80 bikes, and in 2020 we will produce 250 MANX7 motorcycles. That is the absolute maximum number of bikes to be produced per year; delivery of the first bikes is scheduled for Q3 and Q4 2018. Have you established a North American distributor? We have received quite some interest from different North American distributors. We are actively talking to an exclusive vehicles (cars and bikes) distributor in New York City and a couple of potential resellers in California. sure like to read some performance figures, it is an amazing looking machine……. formula E racing is putting up some astounding statistics …… am just curious how a well engineered cycle fairs……. kudos to a job well done! !